To clarify. 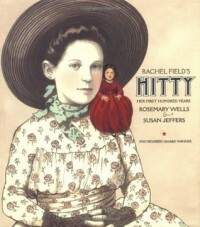 I love the original Newbery award winning novel, Hitty: Her First Hundred Years. I think it is charming and clever and kind of a comfort read. This is not that novel. It purports to be that novel, although if you read closely you will see that it is supposedly an "abridged version, based on the classic." It is in fact not an abridged version. It is an entirely rewritten version less than half as long as the original with whole sections removed, other sections rewritten, new characters and situations added, and the characters that do remain from the original considerably altered. 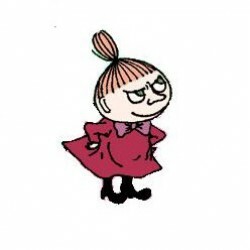 For example, Hitty the doll's first owner was a sweet but rather careless child who often lost Hitty or left her behind places and had to scurry back to get her. She sewed Hitty's first wardrobe of clothes although not entirely willingly, she was afraid of Indians although Hitty thought that was a little foolish. Now she's an intrepid seven year old who takes solo trips in a sailboat to visit her Indian friends and leaves her Mom home to do the sewing. Whaa? Look, I am perfectly capable of enjoying Disney's Alice despite its lack of any but the loosest resemblance to the Lewis Carrol version. Or of enjoying Toad of Toad Hall without expecting it to be Wind in the Willows. But everybody is clear that those are not the classic novels. If this were a little more honest, I might not love it but I doubt I'd dislike it so vehemently. Here however, the cover of the book proclaims it to be something which it just isn't. I'm really irritated to think people are going to read this thing and think they've read the Newbery winner. It even has the gall to say on the cover that its the 1930 Newbery Winner. No. Its not. Bait and switch, people. Read the real thing, please. Then, if you want to check this one out, go on ahead. Some of the pictures are pretty.